If I were to buy a car tomorrow, I could likely afford a lightly used Fiat 500 Abarth—one of the most fun cars out there. I could probably afford cars like the Fiesta ST or an FR-S/BR-Z (aka the "OMG RWD" twins). But when it comes down to it, I'm always drawn to the smallest fugal cars; the underdogs if you will. 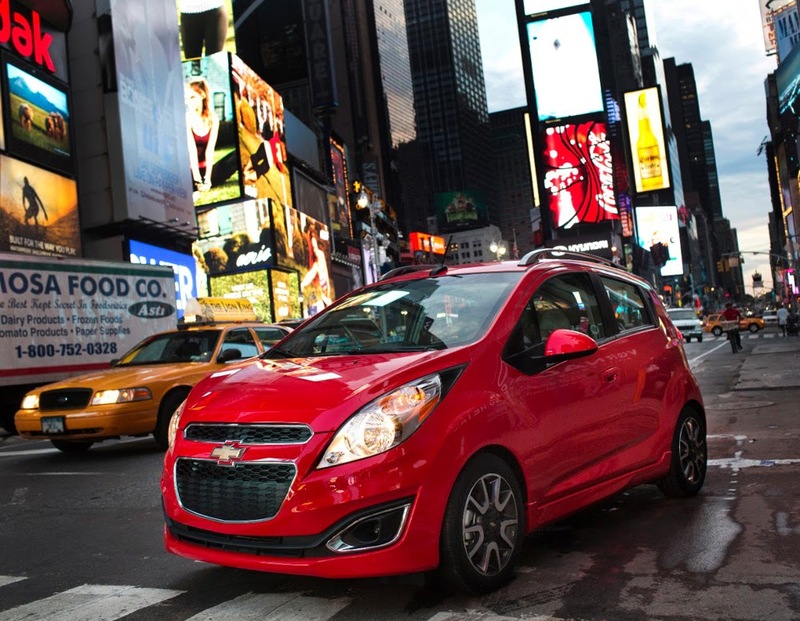 Would I be happy with a Chevy Spark? I don't know. Then again, would I be happy with an Abarth? It's likely I'd be happy with both for different reasons. I posted up photos of the next-generation Spark. I often think to myself that I'd like to get a 2014 or 2015 model before the new one comes out. I love the Spark's edgy, chunky look, especially in 2LT trim (although I think all of them are good looking). I know they only make 85 horsepower. But like my Yaris, I'm a sucker for small compact hatchbacks. And do I really need 160 hp in my car? The answer is of course—no. But power is addictive. Hey, I already have a 265 hp WRX for when I need my fix. For whatever reason, I just can't shake my love for small, funky cars. Cars that are not the most refined and cars that are not perfect (too slow, not refined, too small); cars that require an explanation when telling other car people what you drive (yes, it's a lowered Yaris with a custom intake manifold and orange wheels). These are often cars that draw attention and often draw jest. But for some reason, be it frugality, practicality, or whatever (it's certainly not performance), I've always been drawn to them. Whether it's a Daihatu Rocky or a Subaru Justy; a Chevrolet Spark or a Scion iQ, I often tell people I love the small ugly cars that no one likes. I guess someone has to. People, even car people, are often surprised there is a Yaris following, or an enthusiast base for Smart ForTwos. Yes, believe it or not, there are other wackos out there like myself. I just happen to write about it from time to time. It's also likely that I don't intend to stop anytime soon. So bring on the Mirages, the iQs, the Sparks, and the Rios. The Cubes, the Justys, the Rockys, and Sprint Turbos. You are imperfect, tiny, and often mocked. But I don't care. I love you—and thankfully—I know some of you do, too. It's been a while since I've thought about the Daihatsu Rocky -- I had an '89 Geo Tracker, and lemme tell you, when I first saw the Rocky, I was jealous -- but glad to have the better gas mileage of the rebadged Suzuki. I also favor the underdog. Almost everything I own or have owned has been some form of underdog. While all the kids had a Sega Genesis, I had a TurboGrafx-16 (PC Engine). Why? I liked the games. I bought a brand spanking new 2000 Nissan Sentra SE with the performance package instead of a 2000 Honda Civic Si EK coupe back in 2000. Why? The Sentra had more bang for the buck & 4 doors, not to mention less theft than the Si. While most people shoot with Nikon or Canon, I shoot with a Pentax. Why? Tons of cheap & amazing lenses plus weather sealed DSLR bodies. While most people are computing with Microsoft or Apple, I'm computing with a Debian Linux system. Why? Less issues & it's free. The underdog rules!